It's always interesting in seeing the development of football or soccer outside of Europe and South America as this days there are many new interesting footballing countries that produce quality players and performances on the pitch. 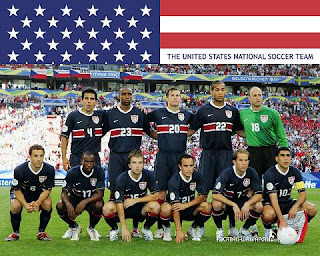 One of the country that has an exciting progress in the last decade is USA, after hosting the world cup in 1994, they work very hard to improve the quality of their players and league by making the Major League Soccer (MLS) a much more competitive competition. 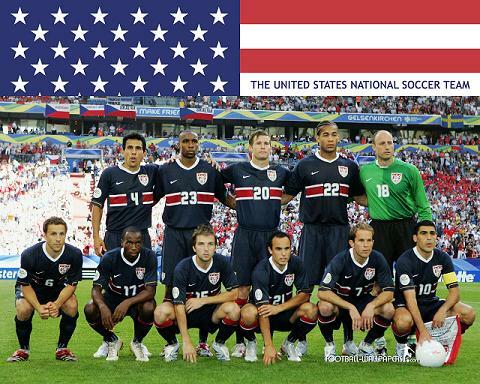 Aside from the professional level, the development of soccer in the states surely needs more fundamental which is creating a good youth system by promoting the sport in schools and university. Just like the NBA or NFL, the University surely is an important part to further enhance young players quality so they could be ready to play at the professional level. For quite sometime now cars have been a symbol of prestige for some people who can afford having luxury rides, and among those people, athletes, especially football players are pretty much on the list. Professional footballers especially those playing in top clubs and counted as an important players usually have more than enough wages to get classy and sporty cars that can show their pride and prestige off the field. The wait will end in just a few more hour and the football fans all over the world finally starts the special month of every for year as the 2010 world cup's kick off is coming in just a few hour. Excitement is surely on the cards as this world cup is being played for the first time in Africa soil, with many doubts looms regarding lots of things from facilities and most importantly security, however lets just skip that worries to the local authorities and try to enjoy the soccer feast that will be shown starting from tonight. Football has been such a marketable sport that attracts many companies, agencies, products to be involved as sponsors for events and also football clubs. Among many products that sponsored clubs, one of that attracts me is cars sponsorship, just like what Audi did recently and also Opel back than. This kind of deal in my opinion is something that not only benefit the club, but also players as from what I know the players usually receive a new type from the cars factory that sponsored that club.